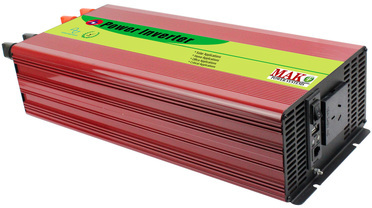 A power inverter is a converter that changes direct current (DC) to alternating current (AC). Inverters use appropriate transformers, switching, and control circuits, AC Current can be converted at any required voltage and frequency value and it also supply clean power. Renewable power source sector are getting bigger day by day, it means that, the need of inverter usage are getting important. Renewable power sources produce direct current and store it inside the batteries. Some machines which are used at homes or industry applications works with alternating current. At this point, inverters are used for transfor this direct current to alternating current. ​Mak Plus Power Systems is a German company which is also inverter manufacturer for years. We design the inverters in Germany according to European standards with our experienced team and production process is done in Europe. We use high quality components and spare parts for the production of the 800 watt inverter. After the production, our technical team and engineers apply long test procedure to 800 watt inverters to be sure the machines are strong. We can service our customers for standard and customized inverter solutions. If you are not sure which inverter is convenient with your needs, our technical department can inform you correctly and quickly about this issue. 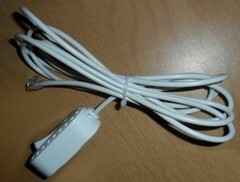 Technical support after sales is important as much as sales procedure. As Mak Plus Power Systems Family, we are always here to support you whenever you need. There is an LCD screen on the 800 watt inverter to get detailed information about the progress of the machine easily. Inv-Mak series 800 watt inverters supply high performance and high level protection for your systems. There is over load protection, soft start function on the design of 800 watt inverters. As Mak Plus Power Systems Family, we work really hard and improve ourselves to supply you- our costumers- perfect 800 watt power and solar inverter solutions.